Struggling to pick a uni to apply to? Not sure which course is right for you? Weighing up your career options? 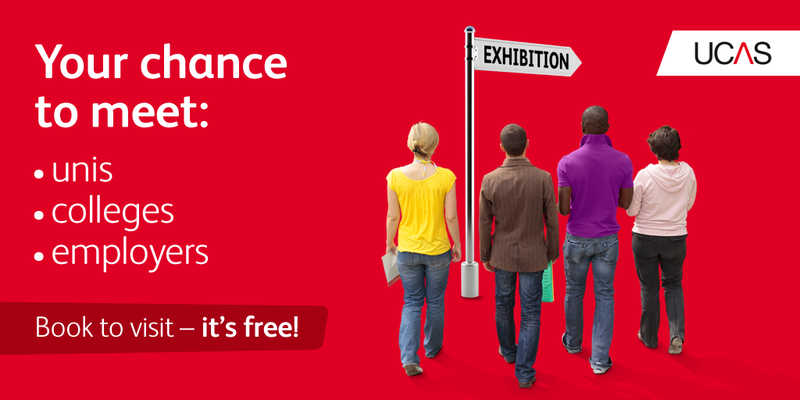 Book yourself on to a UCAS exhibition to find out the answer to these questions and more! 1. So why should you go? They’re an opportunity for you to meet lots of different unis in one place – and a chance to get some face time with those in the know! You’ll get to meet admissions staff, course leaders, current students, and job recruiters. 1. What grades or UCAS points do I need? 2. What modules can I choose from? 3. What is the local area like? 4. Are there halls and accommodation nearby? 5. How many students get jobs at the end of the course? You’re going to be spending at least three years of your life there, so make sure you get all the information you need! Each uni will usually have a few prospectuses around. Make sure you pick some up to go through at your leisure, either on your own or with your parents. These will offer you a detailed insight into the uni, courses and tons more info about what the uni offers! So what are you waiting for? Book now! There are over 50 locations to search from and they’re all free!